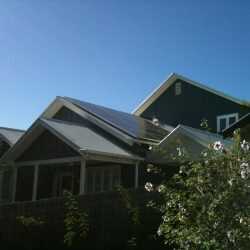 Australian homes and businesses installed a record monthly total of 120MW of rooftop solar in November, beating the all-time high set in June 2012 and rounding off what is now certain to be a record breaking year – and this time without the help of premium feed-in tariffs. Australia has hit a new rooftop solar high as homes and businesses get smart – and go big! So what is driving this new solar boom? As Green Energy Markets’ Tristan Edis has noted in his article this week, the previous 2012 monthly record was fuelled by a rush in Queensland, when householders raced to get in before the government closed its 44 cent premium feed-in tariff, and also before the federal government cut back the amount of STC rebate certificates it provided. After that point, residential rooftop solar installs started to decline. For much of 2016 solar installs were below 60MW, bottoming out in January of that at less than 45MW. 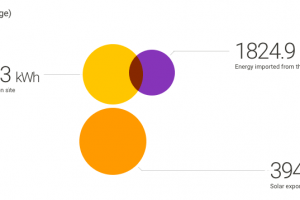 View the report: Green Energy Markets Solar Report. Please note the capacity illustrated is based on the date at which STCs are created in the Clean Energy Regulator’s registry, which is slightly different to the date the system would have been installed. But by April this year, Green Energy Markets was tipping what looked to be a second boom, driven by a combination of soaring power prices, new and cheaper battery storage products like Tesla’s Powerwall 2, and continued policy uncertainty – and political game playing – around grid power reliability and prices. Meanwhile, the solar industry was busy driving down the cost of solar systems, making the technology both more appealing to households and a cost competitive alternative for businesses. As the data shows, commercial-sized systems have accounted for nearly one-third (28%) of all capacity installed for the year so far – compared to just 3 per cent in 2012. 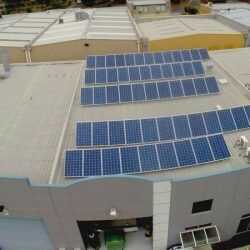 As we have seen this week on One Step Off The Grid, businesses like this car dealership in south-east Queensland are installing bigger and bigger on-site solar systems, and even pairing them with battery storage, not just to slash power costs, but potentially to generate a further revenue stream by selling excess renewable energy to the local grid. 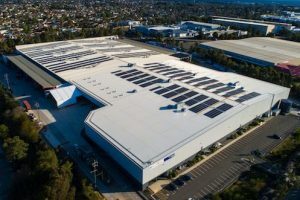 On its own, the solar and battery storage system installed at Llewellyn Motors is expected to save the Ipswich business more than $2 million on energy costs over the next 20 years. And at the household level, modern inverter technology is allowing consumers to do the same. As Matthew Wright explains here this week, rooftop solar panel system owners are now installing 10kW + PV arrays on their rooftops and over-sizing their inverters. Dubbed grid limiting, this feature of current inverters causes them to throttle back to a pre-set export limit to match the grid operator’s feed-in limits, neatly getting around the grid export limiting rule (where a grid operator accepts and respects this capability) and thus removing the effective limit on the size of PV arrays that can be installed.